""Kasischke astonishes with her lyricism and metaphorical power." --Publishers Weekly "Every poem is exquisitely crafted, with crisp, clean lines and imagery that dazzles. 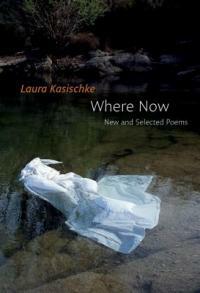 "-The Washington Post "For Kasischke ... poetry is a kind of revenge on the existential limits that it describes"-Los Angeles Review of Books Laura Kasischke's long-awaited selected poems presents the breadth of her probing vision that subverts the so-called "normal." A lover of fairy tales, Kasischke showcases her command of the symbolic, with a keen attention to sound in her exploration of the everyday-whether reflections on loss or the complicated realities of childhood and family. As literary critic Stephen Burt wrote in Boston Review, "The future will not see us by one poet alone ... If there is any justice in that future, Kasischke is one of the poets it will choose." This incandescent volume makes the case that Laura Kasischke is one of America's great poets, and her presence is secure. From "Dear Water": I am your lost daughter and, as always, you are listening & fish. Though I sift you for sunlight, it runs from me in glistening pins, vanishes in the wavering map of your ungraspable heart. When I reach in, you swallow my cold hands again, swallow the joy they'd hold. Laura Kasischke is a poet and novelist whose fiction has been made into several feature-length films. Her book of poems, Space, in Chains, won the National Book Critics Circle Award. She currently teaches at the University of Michigan and lives in Chelsea, Michigan"-- Provided by publisher. Description: xv, 363 pages ; 24 cm.